The above map shows the additional rainfall forecast for the nest seven days. Below is the rainfall since January 1. 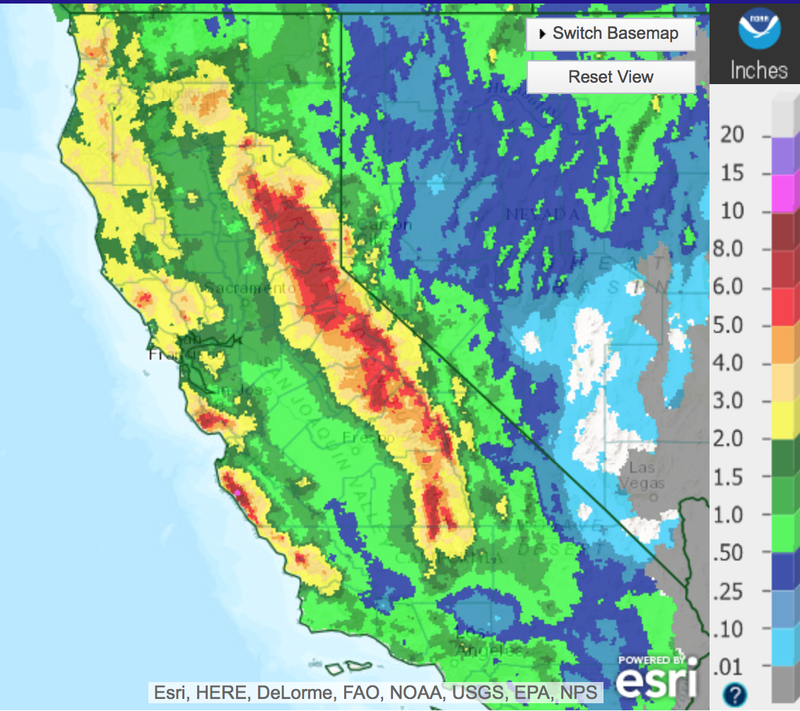 What this means is that rainfalls, in some areas, will exceed 30" in 12 days. Now, at the higher elevations, the precipitation will be in the form of snow. But, with the snow level forecast to be as high as 6,000' at times, most of this will be rain. 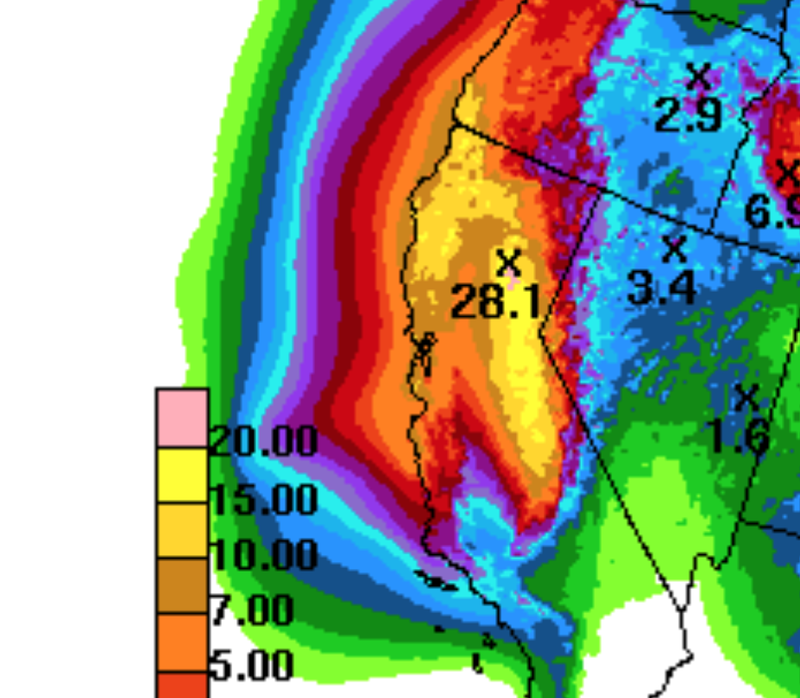 So, I cannot emphasize it enough: If you are planning to travel within or to/from California or you live along a stream or in a low-lying area, it is essential to keep up on the latest weather information and to make preliminary preparations for flooding. What might those preparations be? Keep your car filled with fuel. You may need to leave at short notice. Have the name and phone number of a motel/hotel in another city where you could stay. Go to an ATM and get extra cash. Make sure essential prescriptions are filled. I'll keep updating on this serious situation.